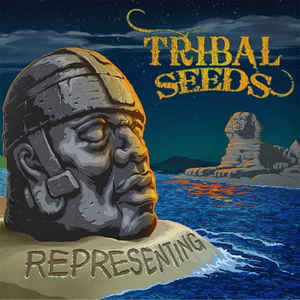 On May 13, 2014 Tribal Seeds released their fourth album, Representing. The new album debuted at number 1 on the Billboard Reggae Charts (114 Top Billboard 200) as well as the iTunes & Amazon charts. Representing contains 12 original recordings and features: Don Carlos, Mykal Rose, Kyle McDonald (Slightly Stoopid), Vaughn Benjamin (Midnite), New Kingston and the band's own, Maad T-Ray and lead guitarist Gonzo.